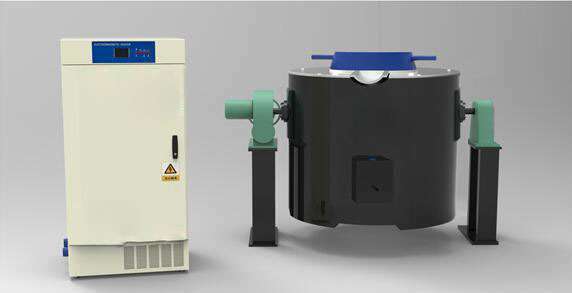 The electromagnetic induction energy-saving melting furnace unique patented inverter power saving technology, the input of 50Hz AC through secondary conversion into high frequency magnetic field of 20 ~ 40kHz induction heating, the original utilization rate up to 95%, the amplitude of energy reduction Consumption. After melting the material automatically switch insulation mode, can be expected to feed and materials at the same time. High-performance insulation, to minimize heat spills. Super-audio magnetic field does not cause radiation on the human body to protect the health of employees. Than the ordinary resistance furnace power saving more than 30%, than the average frequency furnace power saving more than 60%, once the electric melting aluminum 2.2 ~ 2.5kg. Continuous trouble-free operation of more than 10,000 hours, two years, the failure rate of less than 2%, magnetic induction back less than 10%. One-touch control principle, without special training and maintenance, to minimize the difficulty of work. With intelligent temperature control, leakage, leakage of aluminum, overflow, power and other security protection. Non-contact heating, greatly reduce the impurities in the aluminum liquid. Noise-free products, no radioactive harmful magnetic field, no radiation temperature, the perfect protection of employee health.